*NEW! * Moved: Occultists, Magickians (Athletes) - Leery Of Internal Arts? *NEW! * H. P. Lovecraft: "The Call of Cthulhu"
*NEW! 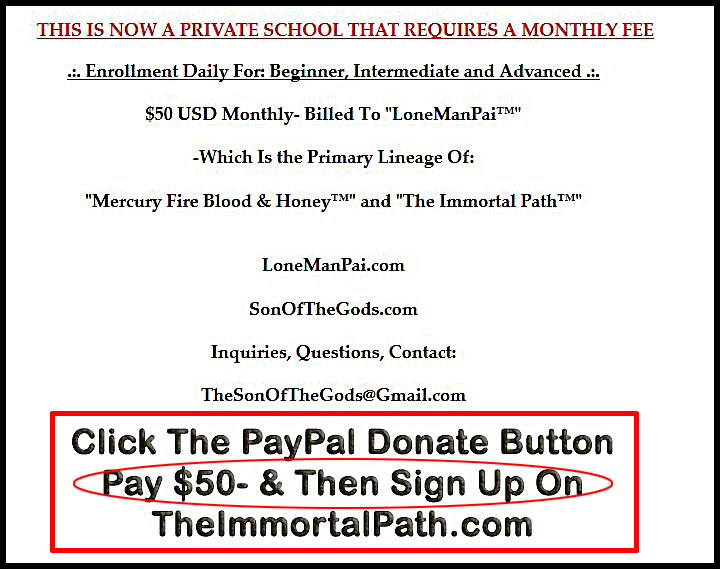 * Why The Necessity of LoneMan Pai™- Hybrid Magick? *NEW! * Training the 'subtle body' like the physical body?